The Rick Hinderer XM-18 3" OD Green Harpoon TantoTactical Folding Knife available at KnifeArt.com is ready for any job ranging from simple cutting tasks to high-speed low drag operations. The XM Series harpoon blade offers maximum cutting potential in a 3-inch blade with a durable tip. Dual thumb studs as well as a flipper for easy right or left-hand operation. Flipper serves as an index finger guard in the open position. The blade thickness on the XM-18 3" harpoon is a full .140 inches. 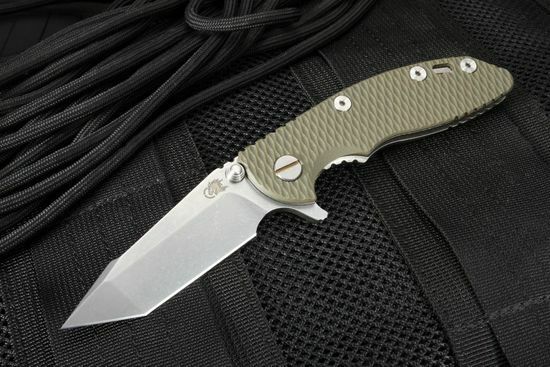 The handles are made of textured OD green G-10 and titanium. 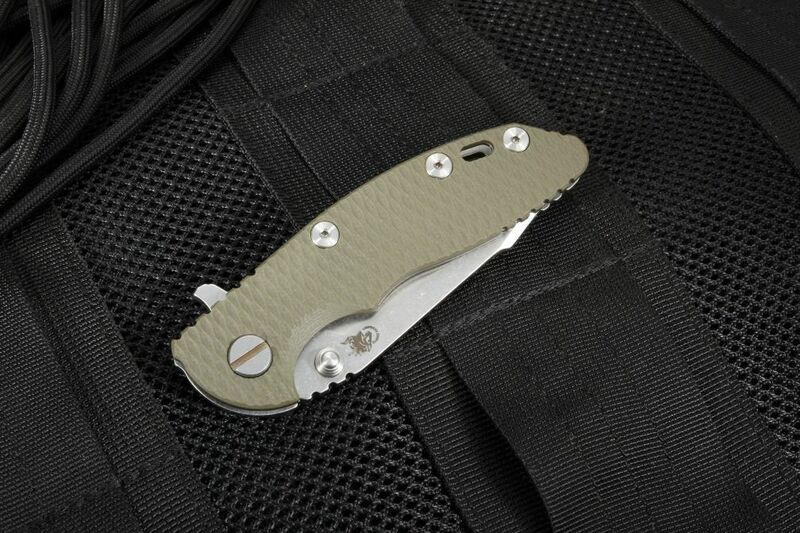 The titanium pocket clip can be mounted blade tip up or down. 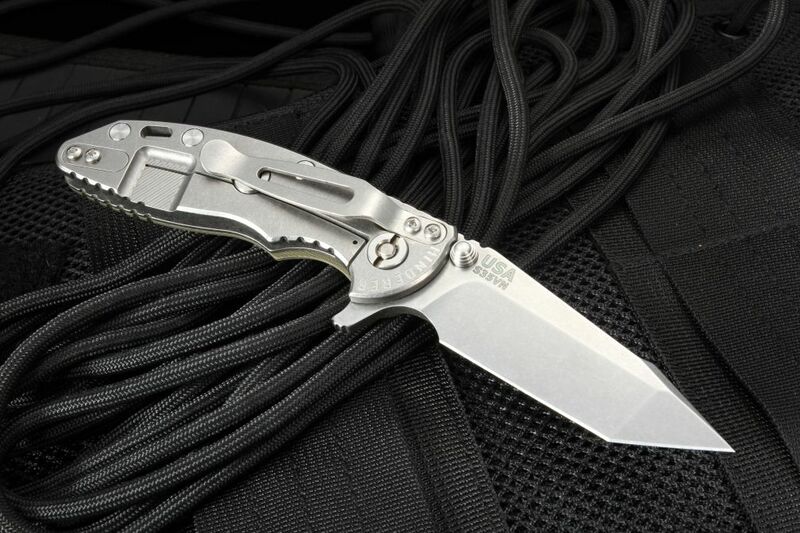 The Hinder XM-18 3" harpoon tanto knife is 7 inches long when open and weighs 3.4 ounces. Lanyard hole in the handle. 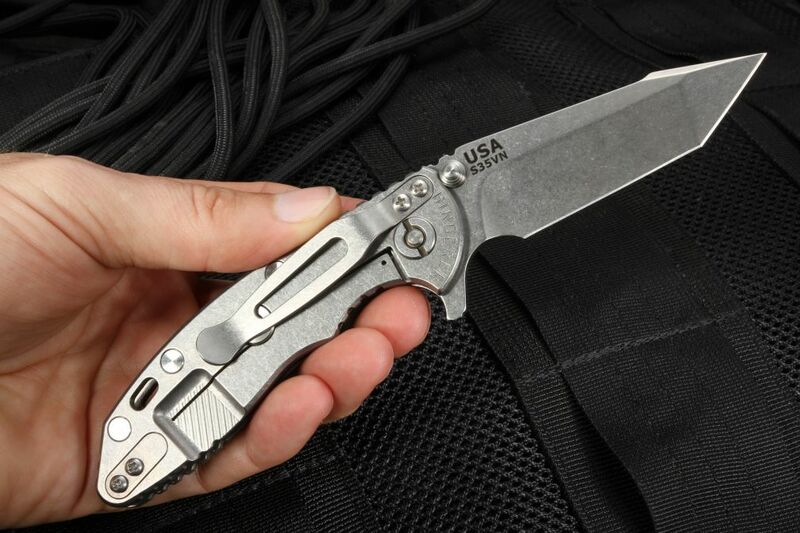 This knife comes with free shipping in the U.S. from KnifeArt.